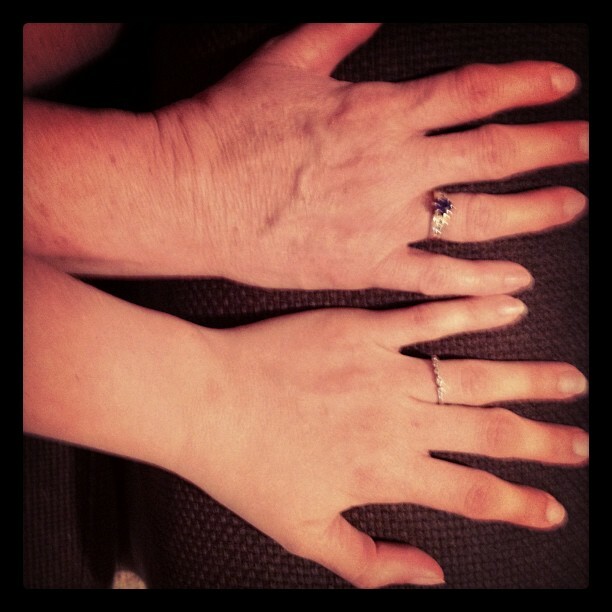 My mom and I have the same hands. She humored me for this post by letting me take these silly pictures to prove it. 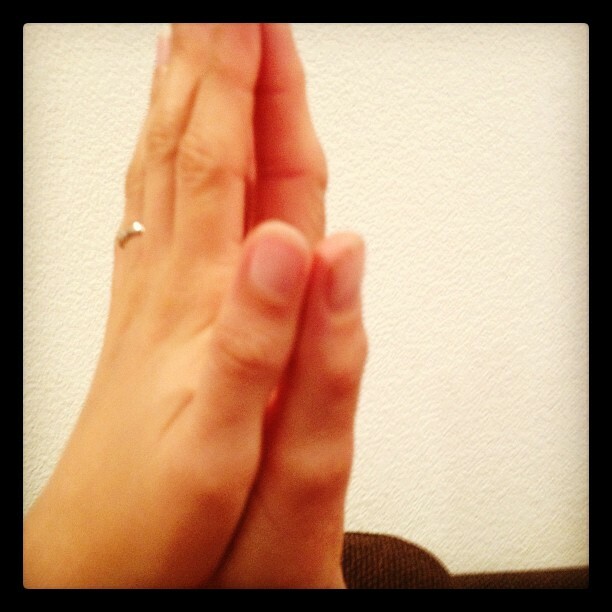 Our hands are exactly the same size. In fact, when pressed together, they are mirror images. The older I get, the more of my mom that I find in myself. Hands, laughter, kindness. I owe much of who I am to her. She influenced me to become a teacher. She showed me how to be brave and not care so much about what others think. “To thine own self be true.” The most famous words of wisdom from my mom. For so many years I fought against all of the things that I admire most about her. Refused to eat the right foods, scoffed at activism, pretended not to care about nature. In all of my childish efforts to be different from my mom, I’ve ironically turned out in many ways to be the same. Better yet, I am now proud of these similarities. Being a mom has to be one of the hardest jobs on the planet. All of that waiting for your kids to fully appreciate, understand, and embrace your efforts. Thank you Mom for your patience. My mom and I are more alike than I realize. This is so sweet! 🙂 I will always remember your mom for being so unique and kind. My first experience with tofu spaghetti was her own creation in Dillon Beach, and it was good. I look back at how punky I could be when I was younger and just sigh. Part of me regrets being a pain, but at the same time I suppose it's all part of being a teenager and our parents are thrilled at who we have grown up to be. I guess you're right, I just know it must be very hard to wait out those years 😉 Tell your mom happy mother's day for me, I miss her! I love this, so touching! Funny thing is my mom and I have identical FEET haha. I feel like I become more like her everyday, too.